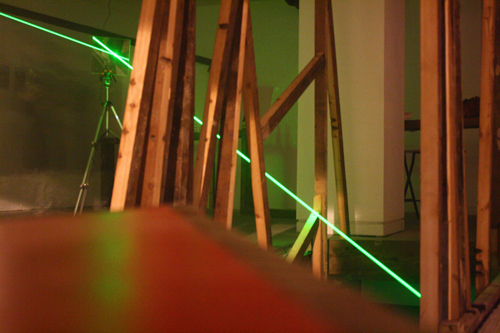 In Call And Response, 2013-14, we utilized a laser mic [a microphone that uses light to translate the reverberations in reflective surfaces into audible sound]. Specifically placed mirrors and smoke machines that are configured so the unheard effects and vibrations in the galleries architecture edits and plays with sounds transmitted along the laser. 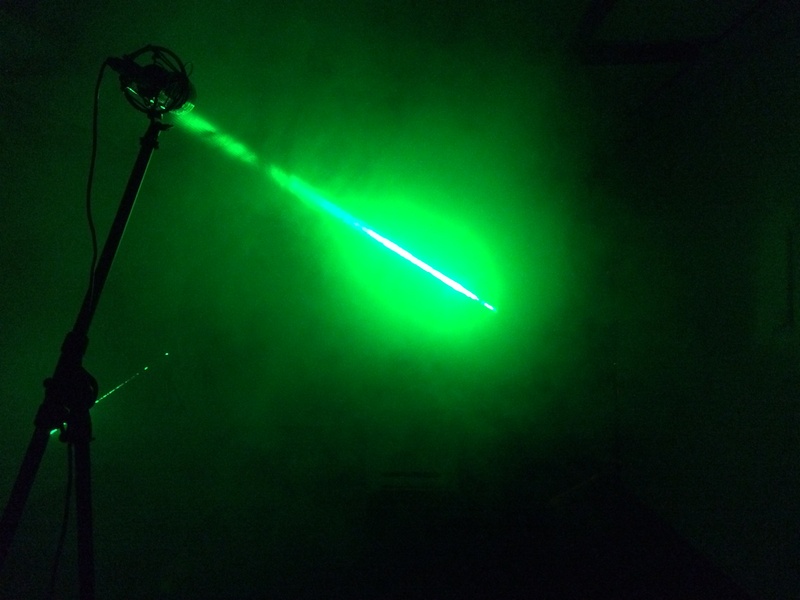 The movement of the audience also effects the sound by billowing and thickening the smoke as its pushed through the lasers beam.